home to a Russian-Jewish population of approx a Million. I hear what you are saying, all I know is a number of different media are reporting the same thing. I wouldn't be surprised if it was true simply courtesy of the scale of the bombardments but who knows. Furthermore I wouldn't be surprised simply because of the fact that it could have been Syrian planes that caused the deaths. all I know is a number of different media are reporting the same thing. I would therefore assume the opposite to what they were saying was true? "The Syrian Army intercepted a conversation between the Americans and Daesh before the air raid on Deir ez-Zor", Hadiya Khalaf Abbas said as quoted by the Al Mayadeen broadcaster. US warplanes hit Syrian government troops near the eastern city of Deir ez-Zor on September 17, leaving 62 military personnel killed and a hundred wounded. The Pentagon said initially that the airstrike was a mistake and targeted Daesh militants. The head of the Syrian parliament, added during her visit to Iran that after the coalition's airstrikes on the government troops US military directed terrorists' attack on the Syrian army. It's plausible so I will run with it for now. under Russian fire were helping to coordinate the rebels’ attacks in Aleppo. conflict that has started to emerge in the last few weeks. was swift and direct retaliation for NATO's air-strike on Syrian Army units. able to decapitate the New World Order's schemes for sowing havoc. Ukraine and in the failed Turkey Coup. vacated their Aleppo intel station in the aftermath of their own strike. And either outrageous arrogance or incredible incompetence is to blame. of failing to cover their asses from retaliation. wanted to undermine the truce deal. I don't buy that. From the nature and swiftness of the Russian response, neither do they. The State Department said they are watching the situation "very closely"
and that the fall of the war-torn city "could be soon." city of Aleppo under the cover of airstrikes. country but also in the region on the whole." While international focus is on the devastating bombing going on in Aleppo, another offensive is taking place, much of it in the shadows, which could be a game-changer in Syria’s bloody civil war. The Turkish military, with armour, air-power and troops on the ground – a thousand of them special forces – are moving deeper into Syria, along with Syrian opposition fighters, setting up a “security zone” across the border. I hope you were right in declaring as you did Fintan that World War 3 has now been won because from the ensuing and deteriorating breakdown in morality, in the brazen criminality and in the intensity of the rhetoric being used which is now largely discarding diplomatic language, it would be reasonable to suggest that what you described as winning was simply the opening skirmishes and that a real headlong disastrously bloody, brutal and genocidal war seems to be in the offing. The US are increasing their presence, Russia are increasing theirs, the flow of weapons to the "rebels" aka islamic terror groups is increasing and the annexing of land is ongoing. We have already seen this has gone beyond sabre rattling in the form of Syrian soldiers being deliberately targeted for death by US air forces. Now, John Kirby has basically warned that more forces will follow and attack Russian cities. Those forces by the way, have numbered in the last 5 years some 360,000 and that is by no means the end of it. These are the most dangerous times since the ending of World War 2.
allies, while the only supply artery to northern Aleppo has now been secured. have the Defense Department type those letters for their families. killed in the raids on Sunday morning, activists told Al Jazeera. The ferocious air campaign "helped regime forces to advance in the north of the city", where they reached the outskirts of the al-Heluk district, Rami Abdel Rahman, director of the Syrian Observatory for Human Rights (SOHR) monitoring group, told AFP news agency. If pro-government fighters seize Heluk, Bustan al-Basha and, Sakhur - all rebel-controlled neighbourhoods in Aleppo city's north - they will confine opposition factions to a small section in the southeast. "The air strikes are continuing but now the government and its allies - men from Iraq, Iran, Lebanon - are pushing into the rebel enclave in the east of Aleppo," said Al Jazeera's Zeina Khodr, reporting from the Turkish city of Gaziantep near the Syria-Turkey border. "They are making progress and they are taking ground from the opposition, particularly in the north of the city." Later on Sunday, the Syrian army said in a statement carried by state media that rebel fighters should vacate the eastern quarters of the northern city of Aleppo and said it would guarantee them safe passage and necessary aid. "The army high command calls all armed fighters in the eastern neighbourhood of Aleppo to leave these neighbourhoods and let civilian residents live their normal lives," the statement carried by state news agency SANA said. "The Russian and Syrian military leaderships will guarantee safe passage for the fighters and will give them aid as necessary." the war hysteria - even when they've long ago already LOST WW3. gambit imploded after Putin and Russian intelligence destroyed them. certainly going to win in Syria - just a matter of time. hostile NATO aircraft (and ready to shoot down incoming cruise missiles). a calm retaliation for NATO attack on Syrian troops during the truce. 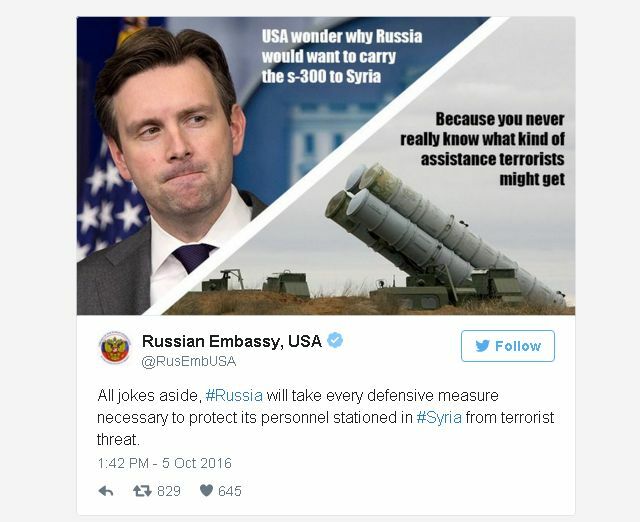 Russias readiness to up ante if the NWO f*ck with them. However, don't take my word for it. Take this guy's. the National Intelligence Council and Station Chief in Kabul for the CIA. Moscow will have emerged as relative strategic victor. Spin city! That's a breath-taking piece of expectation-lowering. But it's not like the NWO are gonna just fade out of Syria's life. - a key architect in launching US sponsored terrorism in Syria. to being an insurgency, a guerrilla war, and that will continue a long time." of Syria. [/b]The meeting will be held at 10 am New York Time (2 pm GMT). still held positions in eastern Aleppo. In response to the downing of a Russian Su-24M by a Turkish F-16C on 24 November, the Russians announced a few changes to their Air Tasking Order in Syria: 1) ALL surface attack sorties would have fighter escorts and, 2) air defense batteries would be standing up the S-400, with orders to engage *all* aircraft deemed to be hostile to Russian air operations. Developed by Almaz-Antey Central Design Bureau, the SA-21 has been in service with the Russian military since 2007. The system is capable of destroying airborne targets as far as 250 miles away, at speeds that are just….ridiculous. The arrival of S-300P and S-300V missile systems in the region radically changes the strategic environment. These highly capable systems are not invincible, but require significant investment into specialised capabilities to defeat them - prohibitive losses in aircraft and aircrew otherwise might occur. As they are less demanding to operate than modern combat aircraft, operators across the broader region will be able to achieve combat effective proficiency faster than with the Su-27/30. In practical terms the S-300P/S-300V SAMs are a viable deterrent against air forces without the technological and especially intellectual capital to tackle them - and in many respects better value for money than the Su-27/30. Their failure to sell in larger numbers reflects more than anything poor marketing by Russia's industry. The US Air Force's approach to defeating these SAMs is conceptually simple: the F-22A exploiting its all aspect wideband stealth, supercruise, high altitude and sensitive ESM warning capability will kill the engagement and acquisition radars using guided weapons., primarily the GBU-39/B Small Diameter Bomb. High power standoff support jamming was to have been provided by the cancelled program for B-52H aircraft equipped with electronically steerable high power jamming pods, standoff ISR support will be provided by systems such as the RC-135V/W, E-8C and since cancelled E-10 MC2A. Standoff or highly stealthy ISR capabilities will be necessary - the current generation of high altitude UAVs like the RQ-1B and RQ-4A /B are not survivable in airspace covered by the S-300P/S-300V systems. Conventional unstealthy, or partially stealthy combat aircraft will have difficulty surviving within the coverage of the S-300P/S-300V systems - the high transmit power, large radar and missile seeker apertures, low sidelobes, generous use of monopulse angle tracking and extensive ECCM features make these systems difficult to jam effectively. 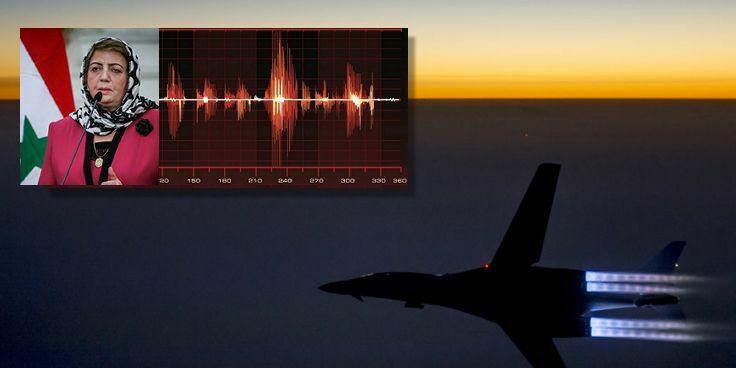 Self protection jammers will need to produce relatively high X-band power output, and exploit monopulse angle tracking deception techniques - Digital RF Memory techniques with high signal fidelity are nearly essential. Even so the challenges in defeating these systems with a self protection jammer are not trivial - raw power-aperture does matter in this game. In practical terms, low level terrain masking to remain below the radar horizon of these systems, combined with good standoff ISR, support jamming and a low radar signature standoff missile, is the only reliable defence for an aircraft with anything greater than insect sized all aspect radar signature. For instance the JSF's forward sector stealth is likely to be adequate, but its aft and beam sector stealth performance will not be, especially considering the wavelengths of many of the radars in question - a JSF driver runs a real risk of taking a 3,000 lb hypersonic SAM up his tailpipe if he cannot kill the target SAM engagement radar in his first pass. For the JSF, integration of a terrain following radar mode in its AESA radar is not an unusual technical challenge, incurring only modest development cost. The bigger bite will be in shortened airframe fatigue life resulting from fast low level penetration with a modestly swept wing design. A weakness of both the S-300P/S-300V systems is that they are severely radar horizon limited in a fully mobile configuration. The addition of mast mounted acquisition radars to extend their low level footprint severely impairs the mobility of the battery. The popular idea of shooting cruise missiles, anti-radiation missiles or standoff missiles at the S-300P/S-300V battery, assuming its location is known, is only viable where such a weapon has a sufficiently low radar signature to penetrate inside the minimum engagement range of the SAM before being detected - anything less will see the inbound missile killed by a self defensive SAM shot. The current Russian view of this is to sell Tor M2E/SA-15D Gauntlet and Pantsir S1/S2 / SA-22 self-propelled point defence SAM systems as a rapid reaction close in defensive Counter-PGM system to protect the S-300P/S-300V battery by shooting down the incoming missile if it gets past the S-300P/S-300V SAMs. Integration of the new Fakel 9M96 series point defence SAM would provide an organic Counter-PGM defensive capability in the battery. It wasnt that long ago we heard the same 'Game over' with relation to the Turkish army taking over Erodogan...hes still there, and fighting the NWO it seems. Lets hope this latest analysis really does see the US getting their asses handed to them.